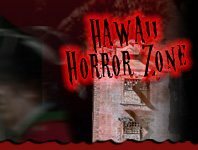 Hawaii’s country farms provide more than fresh fruits and vegetable, come Halloween season there’s also the joy of the Haunted Hay Ride experience. Venture out for a thrilling experience that may have you screaming and even crying in fear as you ride the fields this Halloween season! Who knows what will come out at you as you taking the thrill-seeking ride!